Facebook is one of the most commonly used Social Network these days. Everyone likes to be connected to the world at all times and to achieve this, we all install the Facebook App on our mobile phones. If you’re one of them who has installed this app on your phone, you’ll know that it is the only single app that uses most of your mobile data. There’s nothing wrong in being the most data consumer app, but if you want to decrease the data consumption, here are a few tricks and ways that you can follow. Some time back, Facebook launched an update to their mobile app in which the videos on your timeline will start playing as soon as they become visible to you in the scrolling list of updates. If you want to watch each and every video, it’s a nice feature but if you’re someone like me and don’t watch every single video, you can disable this automatic playback of video in the settings. 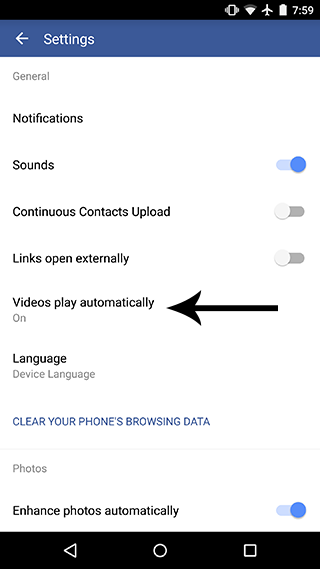 Go to App Settings and turn “Videos play automatically” to Off. Facebook App sends you notifications for almost everything that happens related to your account. 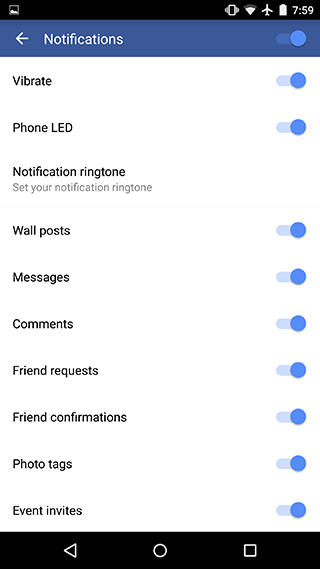 If you don’t want any specific type of notifications on your mobile device, you can turn them off in the Facebook App settings. It will not save a lot of data, but definitely save some mobile data for you. Go to App Settings -> Notifications and turn off the notifications for whichever thing you don’t want to be notified. This tip may seem absurd to you. You might have heard every other person say to you that you should clear your cache as often as possible to make your device fast and free up space on your device. This is true, but when you clear the cache, the app has to re-download every image or profile picture that it had already downloaded on your device. Repeatedly downloading images on your device will consume more data, and in order to save data, avoid clearing the cache for the Facebook App. Facebook is asking everyone to move to their Messenger app if you want to chat with people, but if you still don’t use that, there is a very high chance that you don’t want to be available on chat all the time. In such a scenario, you can turn off chat on your Facebook App. It will prevent you from being available on chat all the time and also save you mobile data in the long run. You can just go to the App Settings and disable Facebook Chat at the bottom. 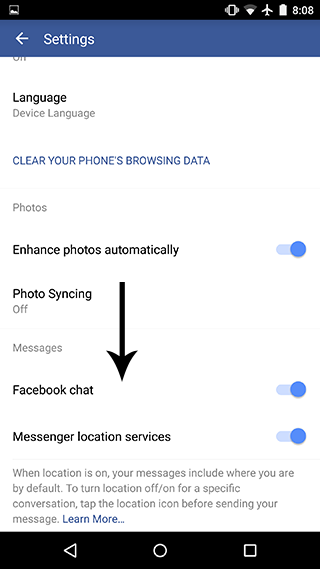 While you’re at it, you can also disable Messenger location services there. Facebook app on Android has an option to Continuously upload your contacts to the Facebook server and look for your friends there. If Facebook uploads your contacts continuously, it will definitely consume data and you can disable it in the App Settings. The steps that I have listed above allow you to save some data on your Android device. You should be able to find most of these features on your iOS or Windows Phone device as well. Following these tricks helped me to reduce Facebook data consumption to a great extent. If you know any more ways to decrease Facebook App data consumption, do let us know in the comments section below.